Halides, as important starting materials, construct complex structures and notable structural motifs in natural products and manufactured drugs. 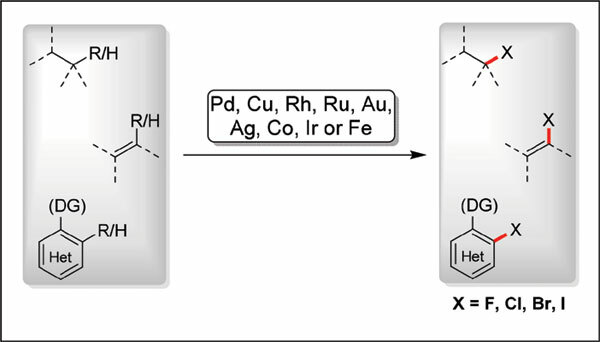 Transition-metalcatalyzed halides formation has emerged as a particular approach to generating organohalides, which is predictable to compete as an alternative to more established synthetic methods. This review attempts to provide different methods to catalyze the synthesis of organohalides by using different transition metals, as well as their application in synthetic chemistry. Catalysis, C-X bond, halides formation, halogenated, organohalides, palladium, transition metals.